I have over 8 years of experience as a full stack web developer. I have worked on a few large and successful projects as well as doing various freelance work. You can find examples and references below. Large applications require all sorts of different components. Load balancers, master-slave servers, monitoring servers, caching servers, and lots of intricate infrastructure setups. I have experience in setting these kinds of infrastructures up. Over the years I have picked up a lot of ways to prevent various attack vectors when developing websites. Whether it be XSS or SQL-injection prevention or lesser known exploits like template injections or click-jacking. 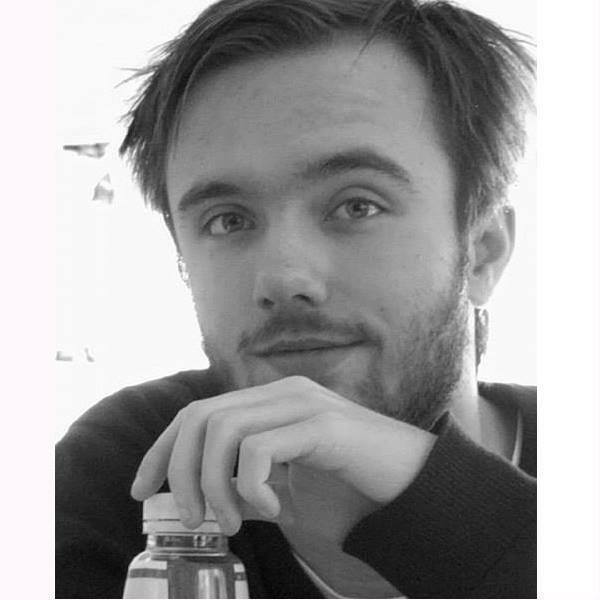 I'm Marcus Dahl and this is my portfolio. Since I was twelve years old I have been doing web development and various other programming tasks. It all started by wondering how websites are made, and here I am 8 years later as of writing this, with several large projects made or maintained by me. I studied automation in college until I realised it wasn't for me. During this time I also got experience with soldering circuit boards, making schematics and programming PLCs. I decided to follow my dream and become a full time full stack web developer. I'm still not quite there, but I am working as an entrepreneur with two friends to get our company Everyday AS up and running. We are working on an enterprise product while simultaneously doing other work to keep us running while we develop this product. 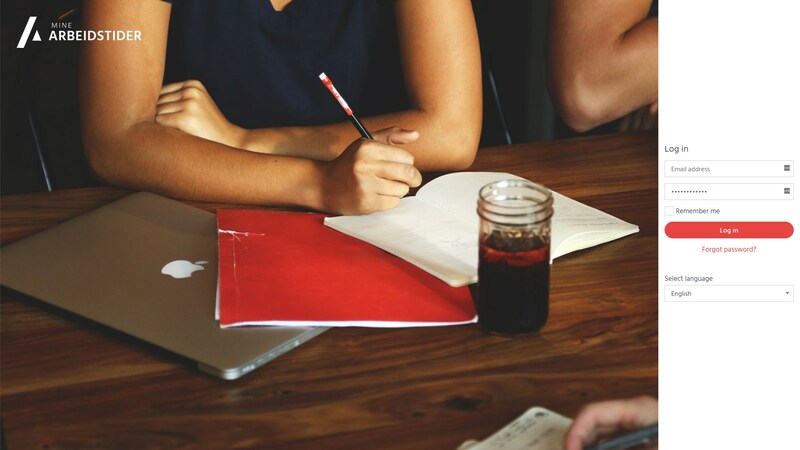 Mine Arbeidstider roughly translated to "My work times" is a full company and employee management suite tailored to anyone's needs. It has a lot of customizable modules and permissions to customly tailor it to your own needs. If you do not want to use the roster module, you can go ahead and turn it off no questions asked. Mine Arbeidstider is a very competitive cloud based system and it's very responsive to custom needs of any company utilising it. My work on Mine Arbeidstider is mostly the back end code and server infrastructure. This is not a freelance project as it is owned by Everyday AS where I hold the position of Chief Technology Officer. Mine Arbeidstider is approaching Beta in lightning speed and will soon be available to any Norwegian companies to use. With a 90 day free trial we aim to show you why we are the best choice for your business. 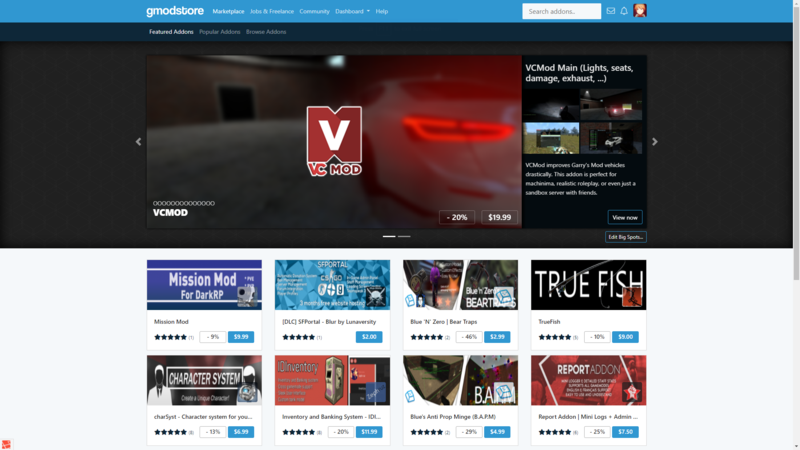 GModStore is a marketplace for Garry's Mod. It has over 80 000 registered users and 855 addons for sale. It has a collective revenue of $1.88 million across all developers. My work on GModStore stretches from design to back end and it's very likely that most of what you see or use on this website has been touched by me in one way or another. I started working with GModStore, formerly known as ScriptFodder in early 2015. 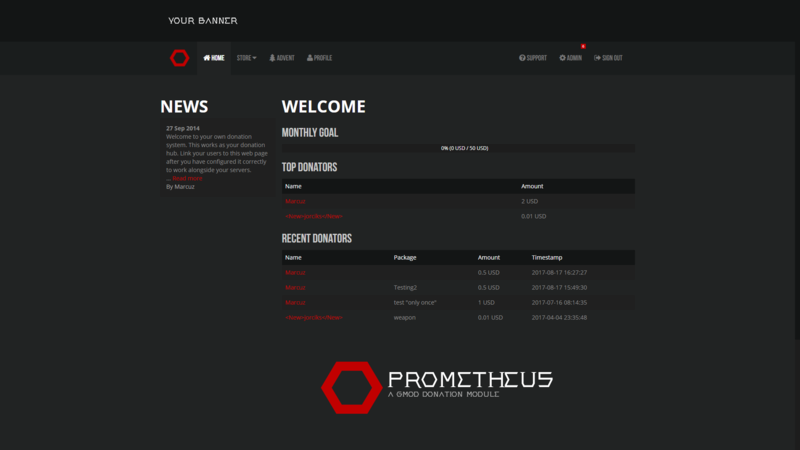 Prometheus is a donation system for Garry's Mod that I put on sale at GModStore in 2014. Prometheus has since sold 4000 copies and retained a 4.92 average rating across 260 reviews. A collective revenue of over $10 million across all users utilise it, nearly 1 million transactions and over half a million players. Prometheus was my first commercial product and it hit off really well, it was really unexpected. I later got noticed by GModStore's administration and hired as a freelancer to work on the marketplace itself. NeutronAdmin is an administration panel for the game Garry's Mod developed by me and Newjorciks. We released this after being overwhelmed by Prometheus' success. There was a lack in administration panels of this type for Garry's Mod. Seeing an opportunity we started planning out what features we needed for such a system. We wanted it to be unlike any Garry's Mod administration panel ever made before. And it is. NeutronAdmin offers a wide variety of controls and different levels of permissions and access to easily modify and hand out to your admins/moderators. Not only can you limit them command wise, but you can properly limited them permission wise as well. It supports any admin mod for Garry's Mod, name one and we support it.